This is an interesting topic for two reasons: there is enormous diversity in the ways we all think and go about finding content; personalizing a search interface without being intrusive is extremely difficult. Any technology that requires us to do activities according to someone else’s design, which bends our natural inclination, is by definition not going to be personal. This topic comes to mind because of two unrelated pieces of content I read in the past 24 hours. 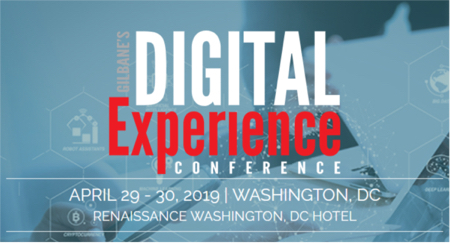 The first was an email asking me about personal information management and automated tagging, and the second was an interview I read with Mike Moran, a thought leader in search and speaker at one of our Gilbane Conferences. In the interview, Mike talks about personalized search. Then Information Week referenced search personalization in an article about a patent suit against Google. Here is my take on the many personalized search themes that have recently emerged. From dashboards to customizing results, options to focus on particular topics or types of content, socialized search to support interacting with and sharing results, to retrieving content we personally created or received (email), content we used or were named in, all might be referred to as search personalization. Getting each to work well will enhance enterprise search but…. Knowing how transient and transformative our thoughts and behaviors really are, we should focus realistically on the complexity of producing software tools and services that satisfy and enhance personal findability. We are ambiguous beings, seeking structured equilibrium in many of our activities to create efficiency and reduce anxiety, while desiring new, better, quicker and smarter devices to excite and engage us. Once we achieve a level of comfort with a method or mechanism, whether quickly or over time, we evolve and seek change. But, when change is imposed on an unprepared mind, our emotions probably override any real benefit that might be gained in productivity. Then we tend to self-sabotage the potential for operational usefulness when an uncomfortable process intrudes. Mental lack of preparedness undermines our work when a new design demands a behavioral shift that lacks connection to our current state or past experiences. How often are we just not in a frame of mind to take on something totally alien, especially with deadlines looming? Look at the single most successful aspect of Google, minimalism in its interface. One did not need to wade through massively dense graphics scrambled with text in disordered layouts to figure out what to do when Google first appeared. The focus was immediately obvious. I am presenting this challenge to vendors; there is a need to satisfy a huge array of personal preferences while introducing a minimal amount of change in any one release. Easy adoption requires that new products be simple. Usefulness must be quickly obvious to multiple audiences. I am presenting this challenge to technology users; focus your appetite. Decide before shopping or adopting new tools what would bring the most immediate productivity gain and personal adoptability for maximum efficiency. Think about how defeated you feel when approaching a new release of an upgraded product that has added so many new “bells and whistles” that you are consumed with trying to rediscover all the old functions and features that gave your workflow a comfortable structure. Think carefully about how much learning and re-adjusting will be needed if you decide on technology that promises to do everything, with unlimited personalization. It may be possible, but does it really feel personally acceptable.